Welcome to the index page for my Napa Valley Page. The whole page is fully indexed and includes all the wineries I have information on. The Region pages are split but I have not fully corrected the indexes so if you hit a link and go no-where that winery is not in that split. I will correct this! Enjoy I hope these pages are of much use to you. 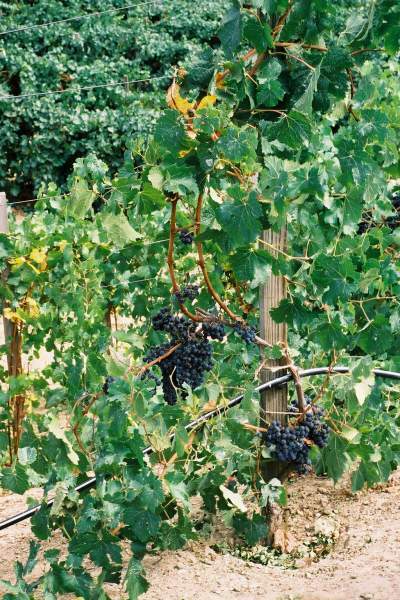 The most famous of California's wine producing regions is Napa Valley. Napa Valley is a wine touring region where you can find almost anything from fine Cabernet Sauvignon to Chardonnay to Ports. Napa Valley is by far the most visited wine region in California. As such, it probably has the best developed tourist facilities from hotels to restaurants to winery tours. As such, it is also the most crowded of California's Wine Regions. Whole Listing (alphabetized and indexed) (190K) Most current info. These region pages need an update. It is currently underway.